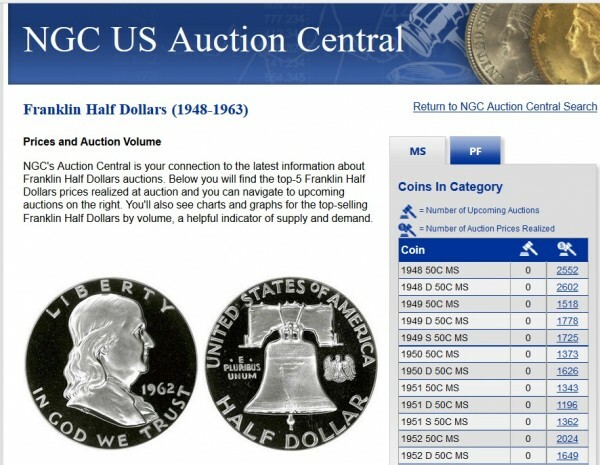 Following the PCGS announcement late last year that CoinFacts would be available to hobbyists for free, competitor NGC has launched a nifty, enhanced price guide that contains many of the same features as CoinFacts, with graphics, census data, and auction prices. In a news release earlier this month, NGC claimed that its U.S. Coin Price Guide is faster and easier to use–on computers, tablets, and smartphones. I tried it. The company is correct. When you log on to the price guide, you locate your coin type from a table of images, making the selection easier and more visually appealing than if mere text or URLs were used, as in the typical guides. A brief tutorial loads when the guide and the improved NGC Census are accessed the first time. Technically, the tutorial is too basic for the regular Coin Update reader, but it just might prove handy for hobbyists who only recently began using the Internet for coin buying, selling, and research. In sum, NGC has technically matched PCGS’s CoinFacts, which I have used for years as one of the first subscribers to the utility at $99 per annum. Also, both NGC and PCGS certification verification pages link to the price and auction values. As most hobbyists know, the NGC Price Guide and PCGS CoinFacts should be used only for coins holdered by those companies. Too many online auctions have cited these prices inappropriately for bottom-tier and self-slabbed coins. 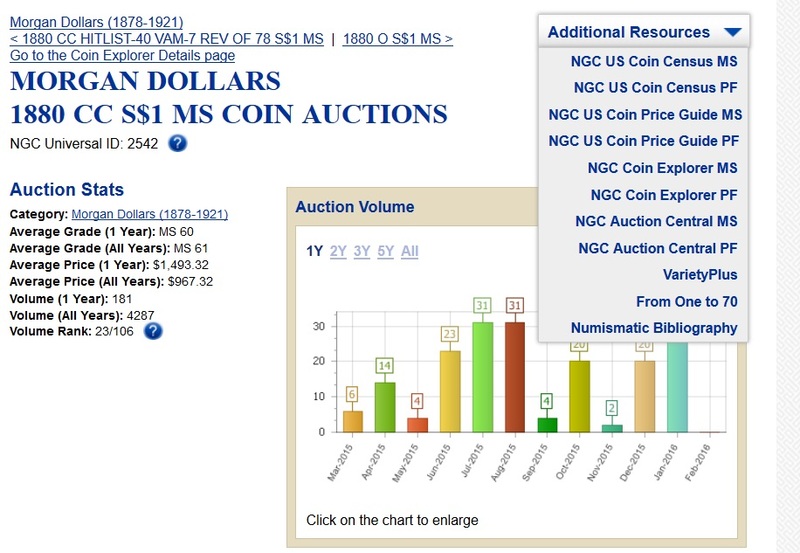 Auction prices will give you an idea of how high you might like to bid on a particular coin. My advice is not to pay retail prices when you can usually win the same coin at lower auction bids. Never before have hobbyists had so much data at their fingertips. CoinFacts has improved my bottom line over the years because I had access to its auction prices and information. I was more than willing to pay for it, too. Now that CoinFacts and NGC Guide Price are free, try both out and see which one you prefer. When you do, let us know in the comment section below. Love that both are free. I am enjoying PCGS site better because it allows me to copy and paste data into my own spreadsheets and also has populations for proofs. Coins and Moore: Good points! Thanks for your comment. Hi folks – full disclosure here that I am sole developer on Nostomania.com, and being so small I can’t provide the bells and whistles of a big company, but I just want to say I believe the coin price guide I generate (based on actual sales) is often more accurate than the PCGS guide values. I have not spot-checked it against NGC yet. I would love to hear any suggestions from any of you on how to improve my service.